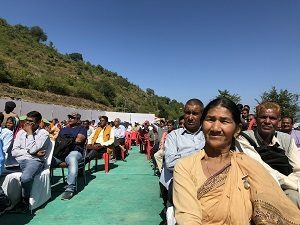 The newly constructed Polytechnic College by Swami Rama Himalayan University (SRHU) has been dedicated to public service in Toli, the native village of Swami Rama, founder of Himalayan Institute Hospital Trust. 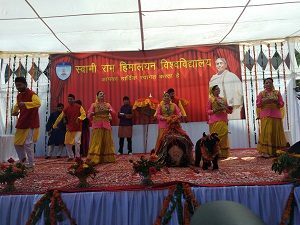 On this occasion, a grand function was organized in Toli. Backed by an impressive and well equipped infrastructure including labs, the Polytechnic will be offering diploma in mechanical, civil, and computer science engineering. 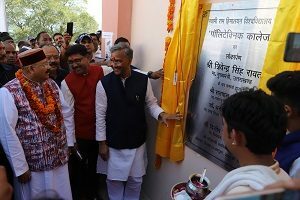 This polytechnic college building was presented jointly by The Hon’ble Chief Minister of Uttarakhand, Shri Trivendra Singh Rawat, Hon’ble Tourism Minister of Uttarakhand, Shri Satpal Maharaj, Hon’ble Minister of Higher Education of Uttarakhand, Dr. Dhan Singh Rawat, Hon’ble MLA – Lansdowne, Shri Dilip Singh Rawat and Hon’ble Vice-Chancellorof SRHU, Dr. Vijay Dhasmana. Addressing the function, Hon’ble Chief Minister, Shri Trivendra Singh Rawatji said that SRHU is not only running the literacy movement in the state, but also giving new direction to the development of the state. Hon’ble Tourism Minister, Shri Satpal Maharaj said that His Holiness, Swami Rama’s light of spirituality began from Toli and thereafter spread to the whole world. Now, in the future the light of education for the mountainous region will also be awakened from here. Polytechnic of SRHU in remote village Toli will also be seen as a precedent for those universities who prefer only plain areas. This college will also provide education to curtail migration from hilly areas. 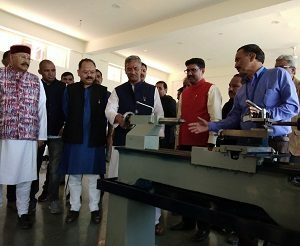 Hon’ble MLA, Shri Dilip Singh Rawat said that with this college the young people of rural areas who have to go to cities for higher education will get better education opportunities here. During this period SRHU Pro Vice Chancellor, Dr. Vijendra Chauhan was present along with Mr. Nalin Bhatnagar (Registrar), Dr. Prakash Keshavya (Advisor, Finance), Dr. Mustaq Ahmad (Dean, HIMS), Dr. Ramola (Dean, HSET), Dr. Sunil Saini (Director, CRI), Dr. Renu Dhasmana (Director, Nursing), Ms. B. Maithili (Director, RDI), Senior/ Middle, as well as Junior members of faculty and staff, etc. were also present. Dr. Vijay Dhasmana, Chancellor SRHU shed light on glorious history of the trust and said that very soon a polyclinic service will also be started in Toli region. On this occasion, a two day, free health camp was also organized by Himalayan Hospital of the University. 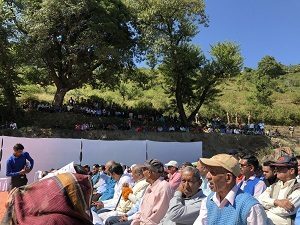 Hundreds of villagers from nearby villages took advantage of the health camp. 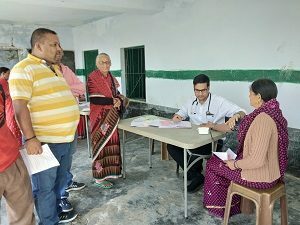 Physicians Dr. Prashant Gupta, Dr. Shabha Shamim, women's disease specialist Dr. Diwakar Pratap, Ophthalmologist Dr. Shweta, Radiologist Dr. Satyadev, Radiologist Dr. Satyesh YS Rawat and nursing staff served in the camp. During the camp, free medicines were also given to the patients. Artists from the Cultural group Brahmakamal Sanskritak Kala Sangam presented skits, dance, folk songs and other cultural acts and received thunderous applause from the audience. The event concluded with Bhoj. Everyone present enjoyed the delicacies of the region served by the team dressed in traditional attire. Each one present on the hugely successful “Lokarpan” ceremony of Polytechnic College was full on joy and abundance. The atmosphere was lively, energetic and full of hope and an optimism.